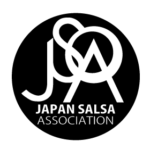 Yuko Akiba is a Salsa dance performer, instructor and choreographer in Japan since 2006. She has successfully performed and/or conducted dance workshops in Japan, Hong Kong, New York, LA, Hawaii, Siberia, Bangkok, Korea, Milan and Argentina. 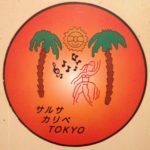 She competed with passion and transmitted great energy, representing Japan in World Salsa Championships. Yuko has studied in New York on a yearly basis since 2009. She studies dance, Latin culture and lifestyle to capture and understand the essence of the world of Salsa. Not only is she the creator and director of dance teams, "Salsa Star-letto" "ABIKA" but Yuko is also featured in a TV commercial, film, TV news programs and music videos. 14 Viento Nuevo (from SHINJI & HARUNA) 東京 SHINJI & HARUNA プロデュースのサルサチームです。Viento(=風)のようなフレッシュなパフォーマンスが出来るように頑張ります!! 24回 世界チャンピオンに輝くラテンスーパースター ALIEN RAMIREZ によるジャパントップチーム! !